Bootcamp is brought to you by Bluefin Software, LLC. We are a husband and wife team and we've been developing iPhone apps since 2008. Our goal is to make fitness fun and easy for everyone. Here are some of our other apps that can help you reach your fitness goals. Ease into 5K helps people who have never run get to running 5K in just 8 weeks. 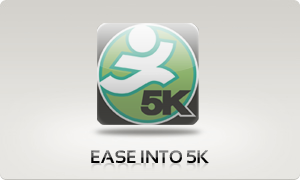 Learn more about the Ease into 5K app or download it from the App Store. This running plan is for graduates who've completed Ease into 5K and wish to increase their running distance to 10K. The plan takes 6 weeks to complete. 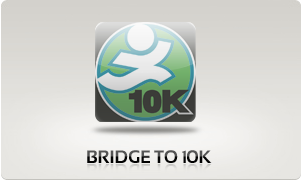 Learn more about the Bridge to 10K app or download it from the App Store. We created this plan for people who have a certain fitness level already and want to train for the 10K distance. The plan takes 10 weeks to complete. Learn more about the Ease into 10K app or download it from the App Store.